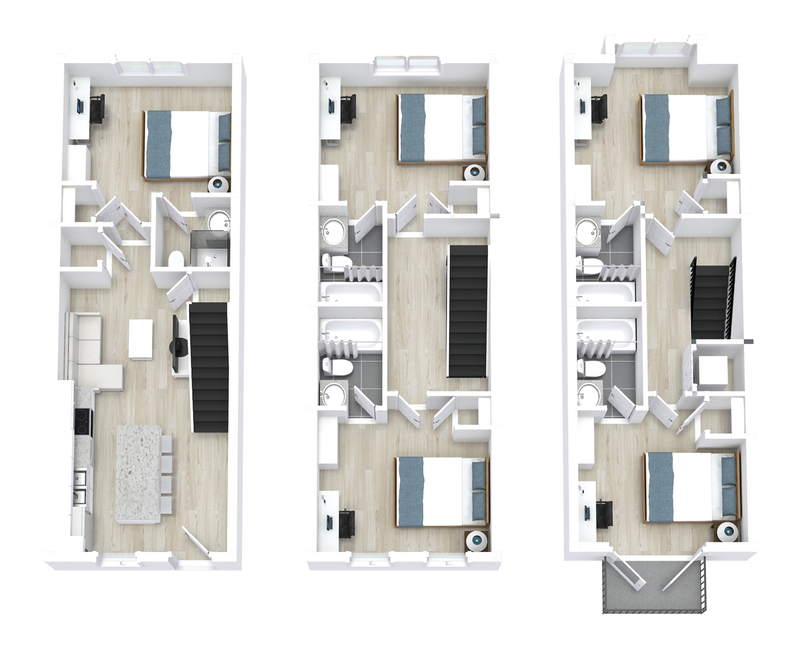 Our 5 Bedroom Townhouse Suite comes fully furnished with en-suite washrooms in each bedroom! The bedrooms are spacious with room for a bedside table, double bed, desk, and dresser. These furnishings are all included, along with a desk chair and bedside lamp. Each washroom is equipped with either a deep soaker tub or a stand-in shower. All you need to finish your room are bedding linens and your own personal touch! Our 3 Bedroom Suite comes fully furnished with en-suite washrooms in each bedroom! The bedrooms are spacious with room for a bedside table, double bed, desk, and dresser. These furnishings are all included, along with a desk chair and bedside lamp. Each washroom is equipped with either a deep soaker tub or a stand-in shower. All you need to finish your room are bedding linens, and your own personal touch! Apply early to get our best rates! Every apartment comes equipped with a large couch, coffee table, and a wall mounted 42″ TV. Also included is cable TV, Apple TV, and high-speed internet – perfect for relaxing after a long day on campus! There is a stacked washer and dryer in-suite, so you never have to find change or lug your clothes elsewhere to wash. 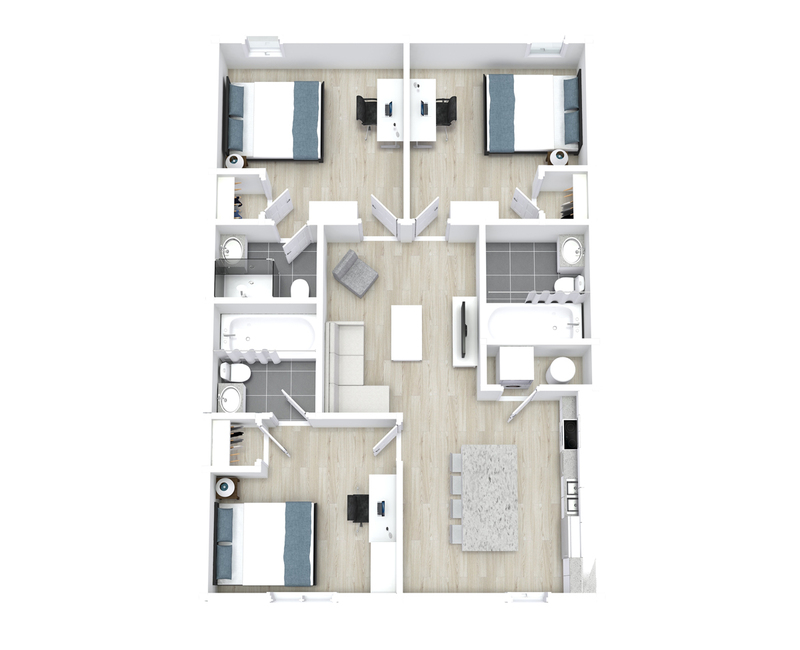 Your new kitchen is outfitted with granite countertops; stainless steel appliances; including a dishwasher, stove/oven, microwave, and fridge; and lots of space to cook, eat, or study with friends! All leases are individual and are either guaranteed by a parent or prepaid.